Zhengzhou CamelWay Machinery is an excellent concrete batching plant manufacturer, and the company has many types of concrete mixing plants for customers to choose. Then the company will introduce the optimum parameters of mortar in planetary mixer to you. The optimum parameters of mixing CA mortar in vertical axis planetary mixer are as follows: the order of feeding is as follows: adding emulsified asphalt, water and water-reducing agent, stirring slowly, adding dry powder, The speed of slow mixing was 2: 40 r / min, 130 ~ 140 r / min, 50 ~ 60 r / min; the slow mixing rate was slow stirring Time 1, fast mixing time, slow mixing time 2 were: 1.0s, 2.0 ~ 3.0s, 2.0 ~ 2.5s. 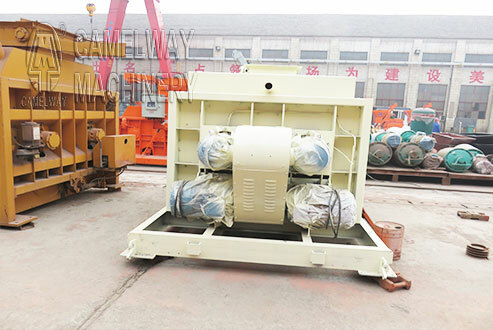 Compared with the double-shaft mixer, the vertical-shaft planetary mixer has better mixing effect than the double-shaft mixer. As a professional concrete batching plant producer, we can provide high-quality products and professional suggestions. If you are interested in the concrete mixing equipment, please feel free to contact us.Please leave your name, nation, and your contact way (email, or phone number, whatsapp, skype, viber, wechat). We will give you a reply as soon as possible.